One camera. Double the excitement. Reco Smart is a small and versatile device that doubles both as an in-car dash cam and portable camera. Connect it with your smart device via Wi-Fi and the ASUS Reco app for real-time previews, or download and share the images and videos. With One-Shot, Time Lapse, and Photo Burst modes, Reco Smart is more than just a car cam, it's one that lets you capture life's little moments. Record Full HD 1080p or 720p videos at a smooth 30 frames per second. Reco Smart features a Sony image sensor to give you high quality photos and videos with high color saturation and stunning clarity. Reco Smart has an f/1.8 aperture lens to help you record the tiniest details even in low-light environments. Wide Dynamic Range (WDR) technology improves image quality even under high-contrast lighting � so you're always guaranteed clear images and video. 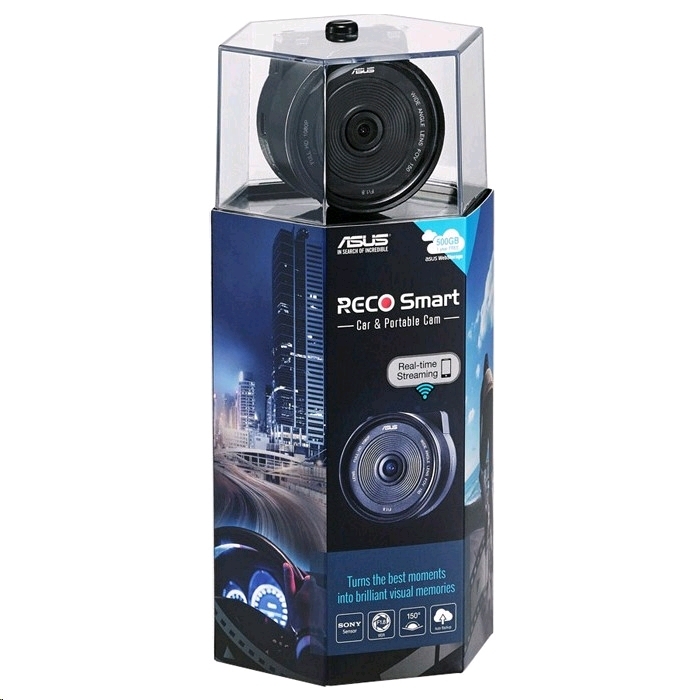 Reco Smart has a 150-degree wide-angle lens that gives you unobstructed views of the sides of your vehicle and the road ahead. It takes great videos and pictures once you're out of the car as well, with its wide-view lens allowing you to capture entire vistas in one frame. The ASUS Reco app lets you connect Reco Smart to your smart devices via Wi-Fi to give you full intuitive control of the camera. You can even preview, download, or share images and videos with friends and family. Its user-friendly interface and NFC Engage makes setting up quick and easy. With the ASUS WebStorage, you no longer need to worry about losing your memory card. 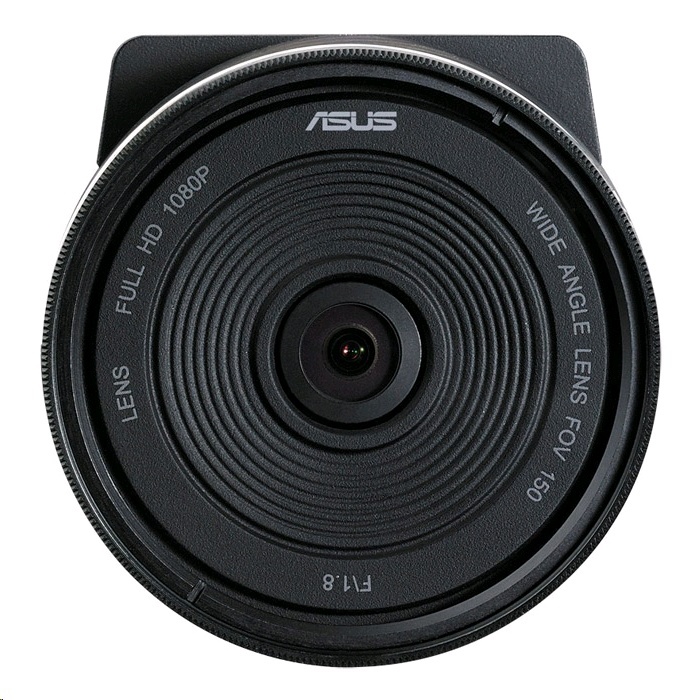 In the event of an accident, the ASUS Reco app will automatically upload files to the cloud 1. Reco Smart comes with 500GB of free ASUS WebStorage 2 - that's enough space for over 7,500 video files. ASUS WebStorage also lets you easily share files and access them anywhere, on any device, through the cloud. The service automatically syncs your files across all devices, so every file is kept up-to-date. 1 Auto upload function only works when a smart device is connected to Reco Smart. 2 500GB of free ASUS WebStorage is only available for one year. Reco Smart can be set to detect movement in front of your vehicle. It will automatically start recording and will continue to do so until it detects no movement for one minute. It keeps a watchful eye on your vehicle even when you are not around. In the event of a collision, the built-in three-axis G-sensor triggers the emergency record function, saving the video and locking it down so it won't be inadvertently deleted. There is also a manual emergency record button that allows you to save videos should you witness an incident. Reco Smart can also be programmed to send out an emergency text message to a designated contact to call for help. Reco Smart has a standard 58mm filter ring and 1/4-inch screw mount, so it is compatible with tripod mounts, filters, and other accessories. 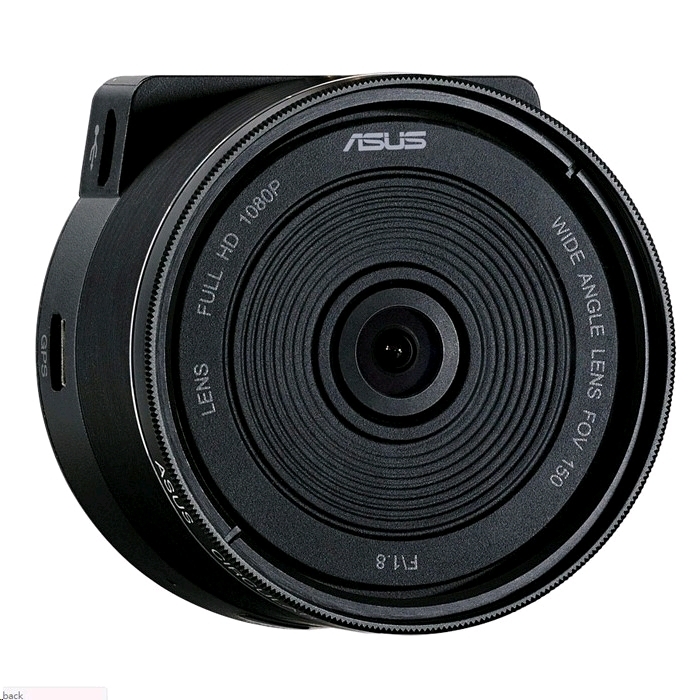 A waterproof Reco Smart camera housing is available as well.